At BigKidSmallCity, we believe the more we know about the people of Houston, the smaller our city feels. And who better to meet than a Houston mom that has started her own website with Jewish resources for families! 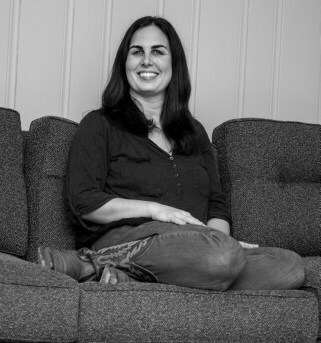 Meet Rachel Teichman of OOGIAH.com. She moved with her husband and kids to Houston from Northern California six months ago. Their daughter who was born in Austin, is now almost six. Their three-year-old son was born in Berkeley, Ca. Their eight-year-old native Texan cats made the move too! They love playing in the backyard, crafting, cooking, reading and traveling together. While the cats prefer to stay home! In her own words, Rachel tells us about OOGIAH and what she likes about Houston! My website has three parts to it now. There is the resource for Jewish families who are moving or traveling which allows them to find temples, day schools and kosher food in a variety of US locations. My blog is full of crafts and recipes for families, and well as posts about other companies and writers. The new OOGIAH Gift Shop sells branded t-shirts, note cards and jewelry, which all make great gifts. In Houston, I like how accessible things are. I know when you hear about Houston, you hear about the traffic, but I really feel like things are so easy to get to here, and there are great finds in so many neighborhoods. You really can steer clear of the freeways if you choose, and explore the city on the street. That is sometimes how you find the best treats, parks and shops. I am so impressed with the network of playgrounds here! My kids love Fire Truck Park the best. We go there all the time. We once got sandwiches from Firehouse Subs and brought them to eat at Fire Truck park. It wasn’t planned, it just kind of happened! We also like Colonial Park, West University Place Rec Center Playground and Weir Park. Some of these are shaded which is great for those hot Texas days. Speaking of the heat, moving here in the summer was actually fun because we got to take advantage of all of the wonderful local pools! We spent a lot of time at the ERJCC Pool, the Bellaire Rec Center Pool and Evergreen Pool. They all have mini water slides, and are great places to meet up with friends and make new ones too. As for Houston events, we really enjoyed seeing an outdoor movie in Hermann Park. We brought snacks and a blanket and watched some of the newest “Spiderman” during one of our first evenings here. We also really liked the Zoo Lights in December. We went through the Enchanted Forest twice, and found spots in the zoo we hadn’t seen before. The kids loved climbing through the piranha tunnel at the zoo’s aquarium. Something about doing that during the evening made it more special too. And finally, we enjoyed crafting and hearing a book read in Hebrew at the The Jewish Book Fair at the ERJCC! Knowing Rachel, if there is something fun to do with kids – she'll find it. OMG – are those cowgirl boots??! ?